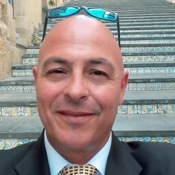 Traveler Review for Private Tour in Rome, Lazio, Italy by Tour Guide Fabio L.
About Fabio L. Message Fabio L.
While Fabio might spend more time in the Vatican than the pope himself, due his frequent tours, it certainly doesn't show in his level of enthusiasm. Fabio was extremely friendly, professional and flexible (yet punctual). While he maintained some type of schedule in order to show you as much as he can, we never felt rushed and were always able to tailor things as we went along. Fabio has the ability to adjust to everyone, making him a great tour guide for families and business people alike.